Quiche is where it’s at, guys. I know it’s March 14, aka Pi day, and so everyone is sharing their lovely strawberry and apple and cherry and chocolate concoctions, but if anyone asks what my favorite pie is, it’s quiche hands down. This is a budget-friendly meal my mom used to make. Her original recipe only uses 3 eggs, and is super versatile in that you can add practically anything to your filling. This is a great kitchen sink meal – just throw in whatever veggies you need to use up, and they’ll taste amazing enveloped in the light and fluffy egg filling. Yesterday’s quiche has chopped up turkey slices and cheddar cheese, and is topped with fresh parsley. 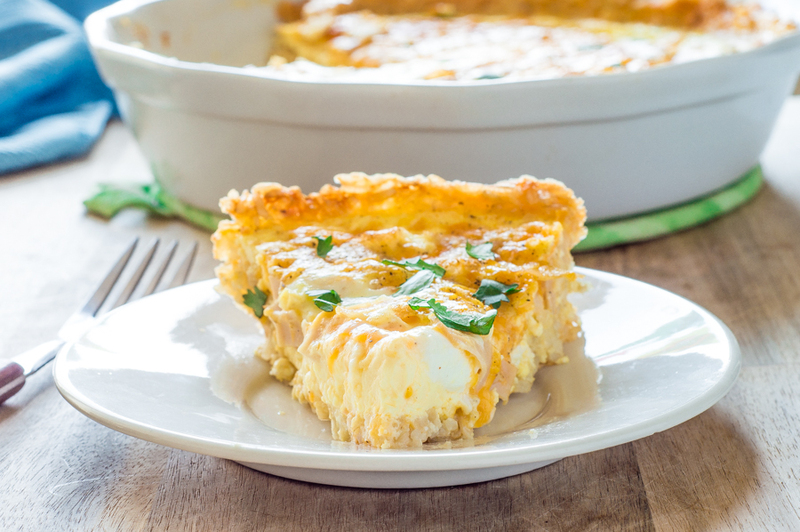 I did make some changes to Mom’s original recipe since quiche from my childhood always came out kind of flat – this version of the recipe is light, thick, and so, so flavorful! As a note, you are welcome to use any pie crust recipe you like if you want your quiche to have the traditional pastry crust. This can also be made without any crust at all for all my keto peeps out there – just dump the egg mixture into a greased pie pan and bake for 35-40 minutes. The crust that I like is made of rice, something I always have around, and takes basically no time to throw together, although you do have to bake it. 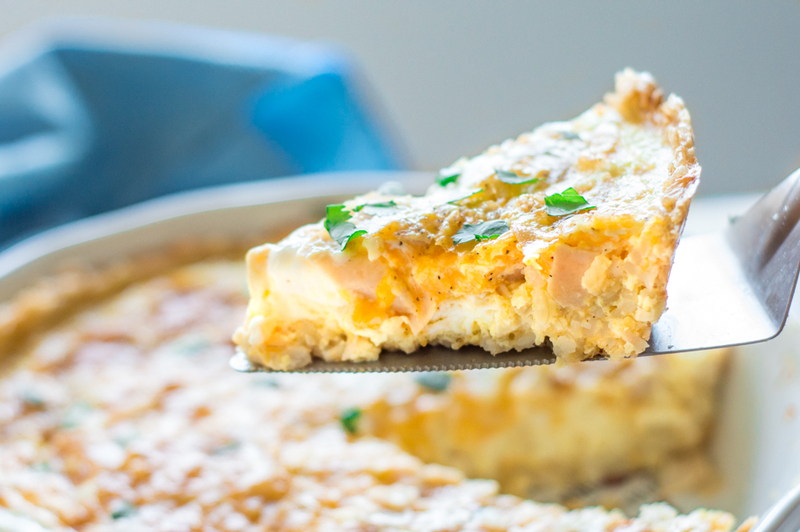 The quiche in the picture is made with a brown rice crust. I’d never tried that before, but I can honestly say the flavor didn’t really change at all. Anyway, tl;dr, quiche is versatile, yummy, and this one is friendly to several diets (keto, gluten-free). Oh, and I did I mention a slice is only 240 calories? 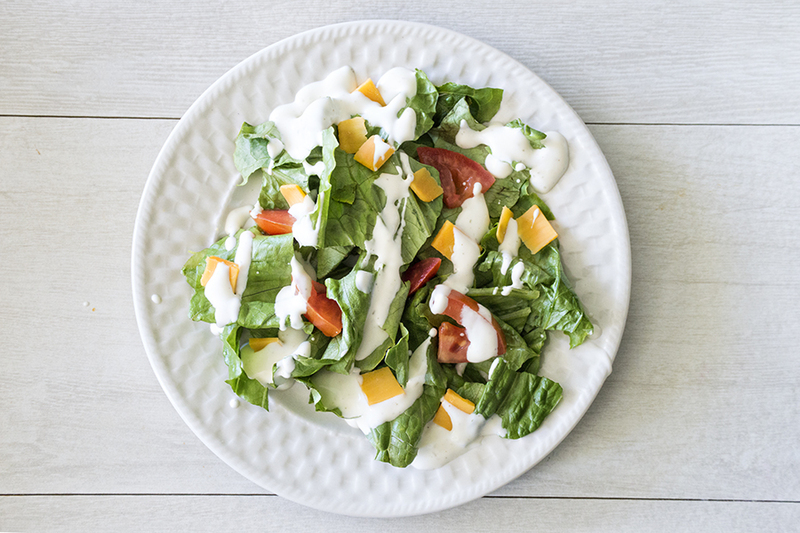 Pair it with a green salad, some fruit, and you’ve got a delicious meal that doesn’t break the calorie bank! 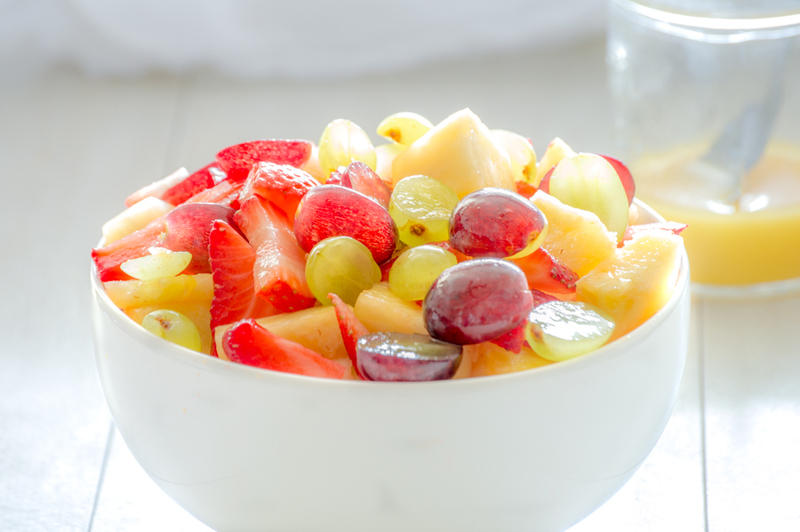 In a mixing bowl, mix together ingredients. Press into an ungreased pie pan, making sure the crust covers the bottom and sides fully. Bake at 425° for 15-20 minutes. Beat together eggs and milk. Add salt and pepper to taste. Place cheese and fillings in the bottom of crust (or pan, if making a crust-less quiche). Pour egg mixture over the top of fillings. Bake at 350° for 35-40 minutes or until filling is set. 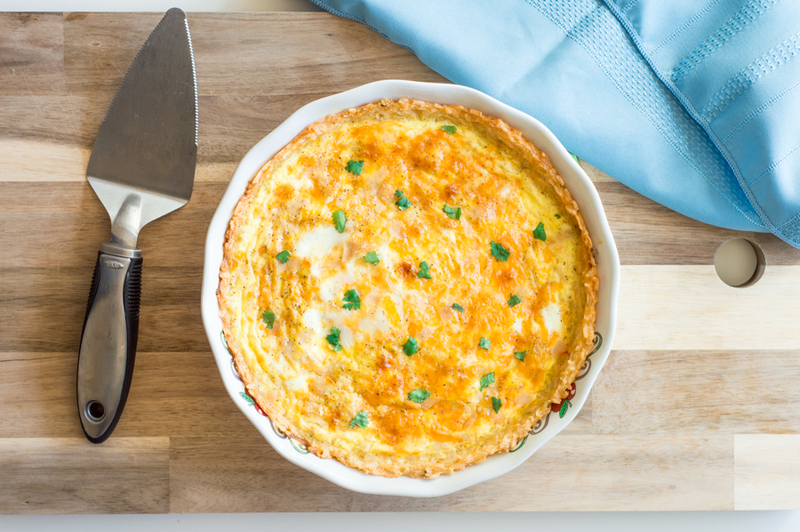 Allow quiche to cool slightly before serving. Serve your quiche with one of these!